Each of these airlines landed a spot in TripAdvisor's Travelers' Choice Awards for 2017. Thinking of traveling to Japan with the assurance of efficiency and comfort? Book your flights with any of these five carriers that made it to TripAdvisor’s Top 10 Airlines in the World for 2017. These were voted by actual customers as those which go beyond having premiere in-flight experience: you get the best service from booking to flying to deplaning. Take your pick below! Emirates isn’t only the world’s largest international airline, it's also been known to be the best in the world. With flights in 155 destinations across 83 countries, it prides itself with a large, modern fleet with the latest commercial aircrafts from Airbus and Boeing. The First Class suites of Emirates is world-renowned for a reason, and they're nothing less than magnificent. From its floor-to-ceiling sliding doors to the in-suite binoculars and mood lighting, you’ll definitely feel like royalty. Economy Class service isn’t to be forgotten, as aside from the great service from flight attendants, you get free Wi-Fi connection up to 20MB for all customers. If you feel like binge-watching your favorite series, it’s probably on one of the 2,500 channels available for in-flight entertainment. Its flights from the Philippines to Japan may not be as extensive as other airlines, but think of it this way—if you want to start your R&R with your plane ride, then Emirates is the way to go. Singapore Airlines is all about the amenities. Their Airbus A380s have super posh private suites created by French yacht designer Jean-Jacques Coste. It has a compact bed, which you can stretch on, and sliding doors to keep things private. If you’re on your honeymoon, you can also request to combine two suites and join both beds for the ultimate mile-high snuggle experience! Traveling economy? No worries! 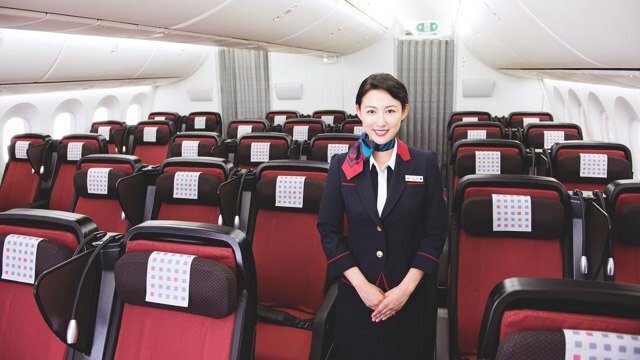 Singapore Airline’s New Economy Class features backrest cushions on each seat with a four-way adjustable sculpted headrest and extra legroom for those booking preferred seats. 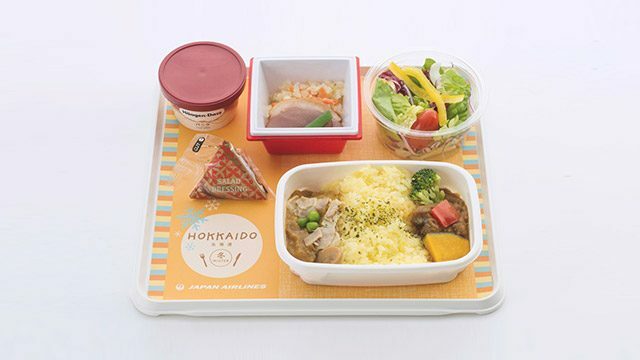 It’s probably not your top-of-mind airline when planning a trip to Japan, but Garuda Indonesia is a huge contender when it comes to top-of-the-line in-flight service. In fact, it has recently been named a five-star airline, and this says a lot, as there are only seven five-star airlines in the world. Be ready to be immensely pampered if you go first class. Aside from a welcome drink, you also get an amenity kit featuring Hermés products. Your private suite has everything you will ever need, including an ottoman and a small area where you can hang your coat. For Economy Class, Garuda Indonesia also does its best: It includes spacious legroom, footrests, and even USB and power outlets—but make sure to inquire about them before you book since they’re only available on their Boeing 777-300ERs. They also offer Wi-Fi connection on their Boeing 777-300ERs and Airbus A330-200/300s for a fee in case you really need to stay connected on board. Four words: free wine and beer. Yes, you read that right. Korean Air offers alcoholic beverages for free no matter where you’re seated. It has a great selection of food, and the reviews of the menu are pretty good, too! Aside from getting you all warm and satisfied in your nook, you’ll also get pampered with awesome service from first class to economy. 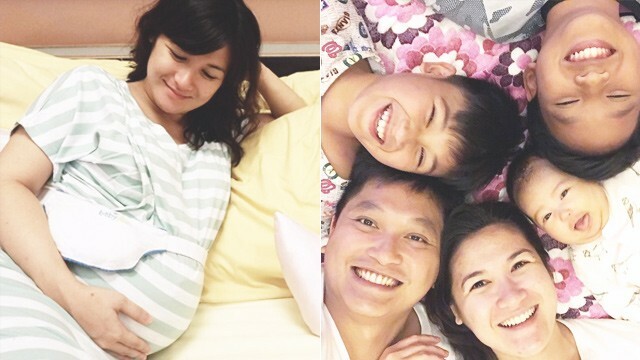 You can even have a personal wake-up call if you wish. This airline is best if you have vacation time to spare, as most of their flights to Japan have stopovers in Seoul. The upside is that you’ll also get the bonus of dropping by the land of Hallyu! It’s pretty obvious that the flagship carrier of Japan would have flights from Manila! 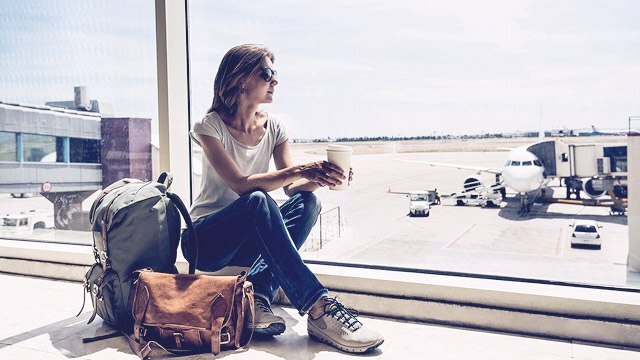 You can get almost anywhere through connections via JAL Gateways: Tokyo, Tokyo Haneda, Narita International, Osaka, Osaka International (Itami), Kansai International, Nagoya, Fukuoka, and Sapporo. Up for a bit of a splurge? 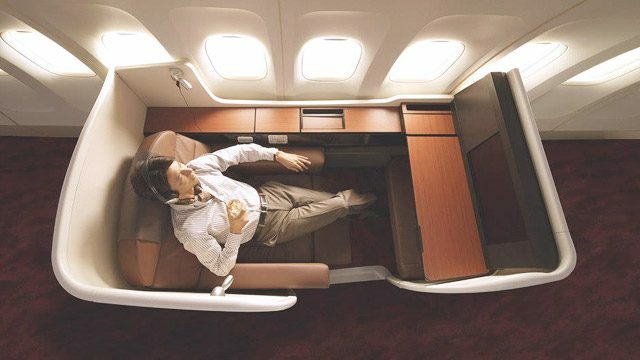 JAL’s First Class Suite is a reflection of Japanese efficiency and minimalism. Its woodgrain interior gives off a classy, traditional vibe, plus you get ample storage that doesn’t get in the way of your movement. 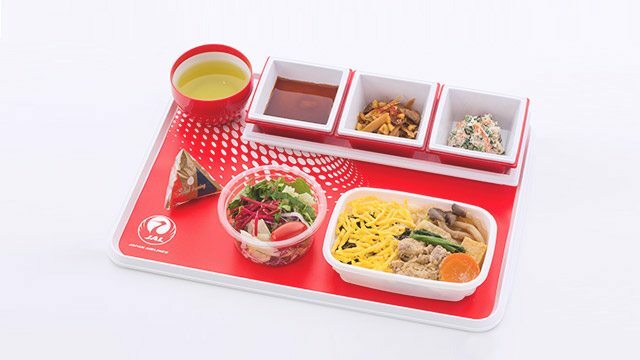 Speaking of food, JAL takes pride in what the serve, hoping that their meals bring passengers back. 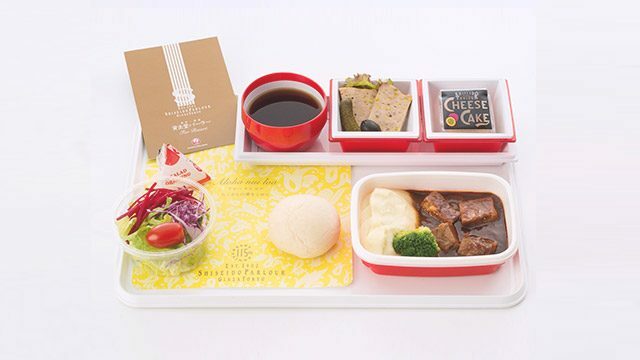 With different meals created by chefs from Japan’s best restaurants, who wouldn’t book another flight with them?